This month's election returns, which resulted in the Republican Party taking back control of the US House of Representatives, have serious, if cloudy, ramifications for progress on drug policy on the domestic front. Similarly, when we look south of the border, where a cash-strapped US has been throwing billions of dollars, mainly at the governments of Colombia and Mexico in a quixotic bid to thwart the drug trade, the Republican return to control in the House could mean a more unfriendly atmosphere for efforts to reform our Latin American drug policy. Plan Merida funding on the line? Or not. Analysts consulted by Drug War Chronicle this week said it was too soon to tell. They varied on the impact of the Tea Party movement on Republican drug policy positions, as well as reaching differing conclusions as to whether the Tea Party's much-touted allegiance to fiscal austerity will be trumped by mainstream Republican militarism, interventionism, and hostility to drug reform. Since 2006, and including Fiscal Year 2011 budgets that have not actually been passed yet, the US has spent nearly $2.8 billion on military and police aid to Colombia, with that number increasing to roughly $7 billion if spending back to the beginning of Plan Colombia in 1999 is included. Likewise, since 2006, the US has dished out nearly $1.5 billion for the Mexican drug war, as well as smaller, but still significant amounts for other Latin American countries and multi-country regional initiatives. Overall, the US has spent $6.56 billion in military and police assistance to Latin America in the past five years, with the drug war used to justify almost all of it. Even by its own metrics, the US drug war spending in Colombia has had, at best, limited success. It has helped stabilize the country's shaky democracy, it has helped weaken the leftist guerrillas of the FARC, and it has managed to marginally reduce coca and cocaine production in Colombia. But those advances have come at very high price. Tens of thousands of Colombians have been killed in the violence in the past two decades, Colombia has the world's highest number of internal refugees, widespread aerial spraying of coca crops has led to environmental damage, and paramilitary death squads linked to the government continue to rampage. Some 38 labor leaders have been killed there so far this year. The results of US anti-drug spending in Mexico have been even more meager. The $1.4 billion Plan Merida has beefed up the Mexican military and law enforcement, but the violence raging there has not been reduced at all. To the contrary, it has increased dramatically since, with US support, President Felipe Calderon deployed the military against the cartels at the beginning of 2007. Around 30,000 people have been killed since then, gunfights are a near daily occurrence in cities just across the border from the US, and the flow of drugs into the US remains virtually unimpeded. That is the reality confronting Republicans in the House, who will now take over. The shift in power in the House means that the chairmanship of key foreign affairs committees will shift from moderate Democrats to conservative Republicans. Current House Foreign Relations Committee chair Howard Berman (D-CA) will be replaced by anti-Castro zealot Ileana Ros-Lehtinen (R-FL), while in the Western Hemisphere Subcommittee, Elliot Engel (D-NY) will be replaced by Connie Mack (R-FL). Other Republicans on the subcommittee include hard-liners Dan Burton (R-IN) and Elton Gallegly (R-CA). But there will be one anti-drug war Republican on the committee, Ron Paul (R-TX). "Ileana and her committee will try to stir things up more, but it's too early to say what that means for drug policy," said Sanho Tree, drug policy analyst for the Institute for Policy Studies in Washington, DC. "She'll do anything she can to screw over the Castro brothers, and that is the lens through which she sees the world." That could mean hearings designed to go after Castro ally Venezuelan President Hugo Chavez, who threw out the DEA several years ago, and whose country is cited each year by the State Department as not complying with US drug policy objectives. But beyond that is anybody's guess. "I think you might see a change of tone," said Adam Isaacson, an analyst with the Washington Office on Latin America. "You'll see Venezuela portrayed more and more as the drug bad guy, but neither Ros-Lehtinen or Mack can see much beyond Cuba," he said. "If you bought the premise that the drug war was an extension of the Cold War, you could have a brand new Cold War framework here," said Isaacson. "They won't be able to buy a lot of Blackhawks, but they can use it as another way to beat up on the Obama administration." "I think not much is going to change," said Bill Piper, national affairs director for the Drug Policy Alliance. "To the extent the need is to cut money, Republicans might want less funding for these programs, but that's a big if. But this is a different sort of Republican, and so there may be the possibility of a left-right coalition to quit funding Plan Colombia. I'm not sure the Republicans can keep their people in line on Mexico and Colombia." "Obama has been unyielding when it comes to maintaining the status quo on hemispheric drug policy," said Larry Birns, executive director of the Council on Hemispheric Affairs. "He hasn't come up with any new programs or expressed any sympathy for the progressive drug policy initiatives coming out of Latin America. He is not going to allow himself to be accused of being soft on drugs. All hope for reform is gone, and there is little likelihood that the administration will come up with any drug-related initiative that will cost more money than we're spending now or that would challenge the pro-drug war lobby that now exists. I don't think we will see much activity on this front," he predicted. Nor did Birns look to Tea Party-style incoming Republicans to break with drug war orthodoxy. He cited campaign season attacks from Tea Party candidates that Washington was "soft on drugs" and suggested that despite the occasional articulation of anti-drug war themes from some candidates, "the decision makers in the Tea Party are not going to sanction a softening on drugs in any way." "I'm not aware of a single reference to the prospective drug policy of the new class of representatives," said Birns. "It seems to have become desaparicido when it comes to hemispheric policy." "The Tea Partiers are very vague on foreign policy in general, and we're seeing things like John McCain coming out and attacking Rand Paul for not being interventionist enough," noted Tree. Despite calls from conservatives for vigorous budget cutting, Tree was skeptical that the Latin American drug war budget would be cut. "In the Heritage Foundation budget cut report, for example, they killed ONDCP's funding and foreign assistance, but nothing from the military budget," he noted. "Maybe they can find some common ground on the drug war, but I'm not holding my breath." "We haven’t heard them say too much yet," said Isaacson, disagreeing with Tree. "But they don't have any money. The Tea party wants to cut the budget and the foreign aid budget is most vulnerable. Even the Merida Initiative could be in play," he said. But, Isaacson said, the old-school hard-liners are already at work. He cited a Wednesday conference on Capitol Hill called Danger in the Andes, which explores the "threat" from Venezuela, Bolivia, and Cuba. "A lot of these new guys went," he said. "John Walters, Roger Noriega, and Otto Reich were there. Good to see some new faces," he laughed painfully. "We still don't know much about the Tea Party when it comes to foreign policy," said Juan Carlos Hidalgo of the libertarian-leaning Cato Institute. "Whether these guys will follow their budget-cutting instincts and look to reduce foreign aid and the military presence abroad, or whether they will follow the neoconservative wing of the party that believes in empire and strong defense and pursuing interventionist policies all over the world is the question," he said. "I expect more of the same under the Republicans," said Hidalgo. "I don't foresee big changes. This Tea Party is going to play conservative when it comes to the war on drugs," he predicted. "But I haven't seen a single Tea Partier say what they believe on this issue. We have to give them six months to a year to show their colors." The Tea Party movement has already shown conflicting tendencies within it when it comes to foreign policy in general and US drug policy in Latin America in particular, Hidalgo argued. "Some part of it is militaristic and interventionist, like Sarah Palin. On the other hand, there are people link Rand Paul, who stands for a non-interventionist foreign policy and who thinks drug policy should be reassessed," he said. "We don't know how that is going to play out." But Hidalgo strongly suggested he thought that it wasn't going to be in a reformist direction. "Even though the Tea Partiers believe in smaller government, the movement has been hijacked by the neoconservative wing of the Republican Party," he said. "Its biggest names are Sarah Palin and Glenn Beck, both of whom are ultraconservative Republicans. I would be pleasantly surprised to see Tea Party representatives come into office and say the war on drugs is a failure, a big waste of money that has failed miserably. They claim they will look at every single budget item, and what better way to cut spending? I'll believe it when I see it," he said. One thing that managed to win reluctant Democratic votes for funding the drug wars in Colombia and Mexico was human rights conditionality, meaning that -- in theory, at least -- US assistance could be pared back if those countries did not address identified human rights concerns. With tens of thousands dead in both Mexico and Colombia in the drug war, with widespread allegations of torture and abuses in both countries, the issue should be on the front burner. In reality, human rights concerns always took a back seat to the imperatives of realpolitik. That's likely to be even more the case with Republicans in control of the House. "There is not going to be much sympathy to human rights as a driver of US policy," said Birns. "The Republicans initially used human rights as an anti-communist vehicle; it was never meant to be used against rightists. Given that the Obama administration has been conspicuously silent on Latin America, human rights, like drug policy reform, is an issue that has largely disappeared from the public debate. If anything, the noise level of things to come on drug policy will be significantly lowered. Whatever was in the air about new approaches has pretty much been put to bed for the winter." 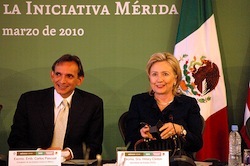 "On Plan Merida, the Democrats attached human rights conditions because of concerns the Mexican army was committing human rights abuses," said Hidalgo. "It's an open question whether a Republican House will be less concerned about human rights when it comes to helping Mexico, or will they say we should cut spending there?" For Hidalgo, the big election news in 2010 was not the change in the House of Representatives, but the defeat of Proposition 19 in California. "Before the vote, several Latin American leaders, including Colombian President Santos, said that if it were to pass, that would force Colombia to reconsider its drug policy and the war on drugs and bring this issue to international forums like the United Nations," he said. "That gave many of us hope that Colombia would precipitate an international discussion on whether to continue the current approach or to adopt a more sensible approach like Portugal or the Netherlands," he said. "Now, that is not going to happen." Elaborate methods of smuggling cocaine and a record number of new unregulated drugs are challenging drug control policies in Europe. Traffickers are increasingly using exports such as clothes, plastics and fertilizers to smuggle cocaine base which is then extracted in clandestine laboratories. It has been a year since Prime Minister John Key declared war on the drug P (methamphetamine). The authorities, and Mr. Key, had hoped to see P prices rising as evidence that the anti-P campaign was working. But that hasn't happened. Peruvian President Alan García met with President Obama over the summer and directly accused Washington of pushing cocaine growth into Peru. The world's second-largest cocaine producer, Peru has asked for more US aid in combating drug trafficking and blamed Washington's policies for driving coca plant production in the country. Despite Peru's leaders repeatedly calling in recent months for more US aid in fighting drug trafficking, the new US ambassador said in her first media interview that resources are limited. In Michoacan, a radio statement broadcast a recording described as a conversation between a high-level drug trafficker and a federal lawmaker. W radio said that the recording was between La Familia Cartel figure Servando Gomez (La Tuta) and politician Cesar Godoy. The two express support for one another and discuss offering a bribe to a journalist. Godoy was one of 36 Michoacan people accused of ties to the La Familia organization last year. 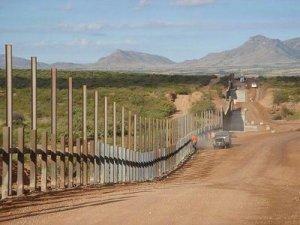 In Tamaulipas, Mexican authorities temporarily called off the search for a missing American. David Hartley has been missing since a shooting incident on Falcon Lake, which sits on the US-Mexico border. Mexican authorities will resume the search after a review of search strategies. In the city of Chihuahua, six members of the prison Immediate Reaction Task Force were killed after the vehicle in which they were driving to work was ambushed. At least 10 gunmen fired on the vehicle with assault rifles. The attack occurred just two days after the La Linea -- the armed wing of the Juarez Cartel -- declared war on prison officials for their supposed favorable treatment of Sinaloa Cartel members. In Jalisco, soldiers confiscated a massive cache of arms and ammunition at a home in the town of Zapopan. The arsenal included 51 rifles, 49 handguns, two rocket launchers, 20 grenades and 38,000 rounds of ammunition. Police also seized 18 kilos of meth, a small amount of cocaine, and a vehicle. No arrests appear to have been made. In Ciudad Juarez, 15 people were murdered in several locations. 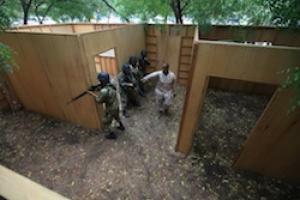 In one incident, eight people were killed when gunmen stormed a house. 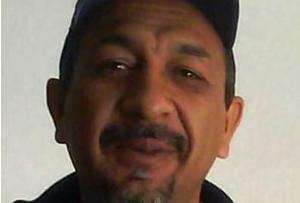 In another incident, the mayor of the nearby town of El Porvenir and his son were gunned down. The two had fled El Porvenir three weeks ago after the kidnap and murder of several neighbors. In Tijuana, soldiers and police seized 134 tons of marijuana during early morning raids in several locations. The marijuana was packaged in at least 15,000 different packages, which were marked with coded phrases and pictures, including images of Homer Simpson saying "I'm gonna get high, dude" in Spanish. Initial reports suggest the load belonged to the Sinaloa Cartel. The raids followed a shootout with several suspects, who led authorities to the stash locations. Mexico Seizes 105 Tons of Marijuana in Tijuana. Does It Matter? Mexico's national security spokesman Alejandro Poire trumpeted 'the largest seizure in the country's history of marijuana prepared and packed for sale and distribution.' 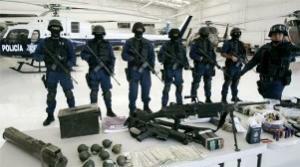 But will this make a dent in the bi-national effort to stem the power of drug trafficking organizations in Mexico? Weapons, cash, and drug seizures, as well as top arrests of drug traffickers, are always touted by the government as signs of success, but they do little to impact the overall structure of the organizations, experts say. Stashing cash in spare tires, engine transmissions and truckloads of baby diapers, couriers for Mexican drug traffickers are moving tens of billions of dollars in drug prohibition profits south across the border each year, a river of dirty money that has overwhelmed U.S. and Mexican customs agents. Medical marijuana is legal in California, and the US Department of Justice has made it policy to not go after patients and providers in compliance with state law, but California medical marijuana patients who live or travel within 75 miles of the Mexican border are encountering another problem with the feds: the Border Patrol. Under US law, the Border Patrol is allowed to set up what amounts to a "Fourth Amendment-free zone" within that 75-mile perimeter, subjecting any and all comers to warrantless searches in its bid to stop illegal immigration and drug smuggling. Patients and advocacy groups are complaining that the border area checkpoints operated by the Border Patrol, part of the Department of Homeland Security, are sweeping up patients, detaining them, seizing their medicine, and sometimes arresting them on federal drug possession charges. Retired Fresno fire-fighter Charles Berg is a case in point. Forced to quit working after being injured in a chemical fire, Berg relocated to the border town of Calexico on his physician's advice in order to take advantage of the dry, warm desert climate. "Because of my remote location, I need to travel to see the medical specialists that treat me, so that I can live in a healthier climate," he wrote in a letter to California NORML seeking assistance. As a border resident, Berg became accustomed to going through Border Patrol checkpoints, but in August 2007 he had the misfortune of encountering one where drug-sniffing dogs were being employed. "The K-9 was searching vehicles four to five back from the front of the line, but when it got to me the dog and agent stayed with my vehicle and upon reaching the front I was stopped," Berg related. "The agent directing traffic told me to pull over to the side, I started to inquire as to what was going on but was interrupted with a sharp command to, 'PULL OVER NOW!!' I complied immediately and was followed by the K-9 and handler. I was told to get out of the vehicle and to present my ID, all of which I did immediately. Every time I asked what was wrong I would be interrupted with shouts of 'shut up' or commands to 'sit down.' When agents began to search the vehicle and the dog jumped into my car, I stood up and said, 'Wait a minute, do you have a warrant to do that?' I was immediately restrained and handcuffed. Agents explained to me that I was under arrest because the K-9 had alerted to my vehicle and they were searching for what it alerted to. I was taken inside and bodily searched; my clothing was checked and I was patted down. I was left inside, handcuffed to a chair while my vehicle was searched for over an hour. I was finally released without charges after several hours, having been in custody, searched and arrested, and was then sent on my way with no explanation as to what they were looking for or what they had done. Every time I attempted to ask a question I was told to leave or they would arrest me for trespassing." While Berg was not prosecuted, he did have his medical marijuana seized, and, to add insult to injury, the Border Patrol also seized his prescription pain medications. But that was not the end of Berg's adventures with the Border Patrol. In December 2007, while traveling on Interstate 8 on his way to visit a cancer specialist in Phoenix, Berg encountered another Border Patrol checkpoint with a drug-sniffing dog. Again, he was arrested and his medications seized. This time he was stuck in jail for three days. Determined to take a stand, Berg refused his public defender's entreaties to cop a plea. His trial is still pending. "In the last few months since my trial was postponed the situation has gotten worse," Berg wrote. "I still live in Calexico, and have medical needs that require me to travel. I still need to travel to Palm Springs and San Diego at least twice a month. Because I know that my medication will be taken by the Border Patrol, I can no longer go on extended stays. It is an extreme burden to drive the 300-mile round trip, but if I don't do it this way I end up going days without any of my prescriptions and the Border Patrol takes them. My doctor says that pain meds are often excreted through sweat, and that the dogs will alert on that. Unfortunately, I can do nothing about the scents that are left behind. Despite the fact that I have been forced to travel without my meds, I am still stopped and searched by the Border Patrol." Berg enlisted the help of the Fresno Firefighters union, but they also got nowhere with the Border Patrol. In fact, investigators for the union reported to Berg that they had spoken with an Agent V. Vega, regional Southern California Border Patrol supervisor, who told them: "It would be best if Mr. Berg moved out of the area. The Border Patrol's mission in California is to stop illegal immigration and enforce federal marijuana laws despite California legislation." Earlier this week, the Chronicle contacted a Border Patrol public information officer for that region, who instead of answering questions asked that they be emailed to him. He has yet to reply to the emails. Calls to Customs and Border Protection headquarters in Washington have not been returned. Berg is not alone. "Over the past year, we've received multiple reports of people being stopped by the Border Patrol," said Kris Hermes, spokesman for the medical marijuana defense group Americans for Safe Access. "We've had two or three incidents where people were stopped for compliance checks in San Diego County to see if everyone had proper documentation. In those cases, the Border Patrol found medical marijuana, seized the medication, then cited them federally for possession." San Diego County resident Jim Lacy, 60, didn't get arrested, but he has repeatedly had his medical marijuana seized by the Border Patrol. "I got my card in 2003," said Lacy, who was disabled after being hit by a train. "I almost died, I lost my spleen, I had ribs going through my lung, it left me crippled for life," he said. 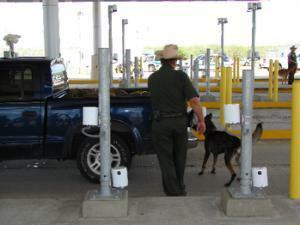 "The Border Patrol was smaller back then and not so uptight," Lacy said. "They didn't know anything about the California law, they were all fascinated. I showed them my paperwork, and they said just make sure you have the legal amount." But it didn't quite work out that way, Lacy continued. "I tried it with a joint, I had the paperwork and everything. They found it and took it, and after about 40 minutes of being paraded around they let me go. The next time I tried it with a gram," he added. "They took it and tested it and said it wasn't pot, but they kept it. It was pot! I grew it myself. One agent said he would take it every time," Lacy recalled bitterly. "The Border Patrol told me they would change their policy if Obama would write a letter like the Department of Justice," Lacy said. [Editor's Note: It was not President Obama, but Attorney General Holder who wrote the memorandum last year instructing the department to not go after patients and providers acting in compliance with state medical marijuana laws. But the Border Patrol is a division of the Dept. of Homeland Security, not DOJ.] "The Department of Justice doesn't control Homeland Security. I've written to all the political leaders, but nothing happens," he said. "If you're going to have a zero tolerance policy, don't trick people," said Lacy. "People think they're safe in California, but if someone comes from some other county and comes down here, they'll never leave here with their medicine." "I wish they'd stop it," bemoaned Dale Gieringer, director of California NORML. "It just shows what a hydra-headed beast we have to deal with. It's not just DEA and the Department of Justice, but also Homeland Security on the border and Treasury with regard to the ability of dispensaries to get bank accounts, also with the Veterans Administration, which appears to be at least partially cleared up, also HUD with the public housing, also about Department of Transportation drug testing rules, there's just an enormous amount of work to be done at the federal level. We're not going to be out of a job anytime soon." "Our view is that the federal government should have a clear, uniform policy on medical marijuana," said Hermes. "It's not acceptable that this issue be divided into different policies among the different federal agencies. It is incumbent on the Obama administration to get to work on a comprehensive federal policy on medical marijuana," he said. "The Justice Department has made its position clear with its memorandum last October, and the VA has more recently issued a policy that recognizes medical use," Hermes noted. "Instead of this piecemeal process and selective enforcement, we should be dealing with this uniformly." ASA wants to hear from patients being hassled by the Border Patrol, Hermes said. "We have a legal hotline where patients can report these incidents. We have not yet taken legal action to address the behavior of the Border Patrol, but we may consider that in the future." Drug prohibition breeds innovation in smuggling techniques -- this is why such a small percentage of drugs is ever seized by authorities. The Los Angeles County Sheriff's Department struggles daily to keep drugs out of the nation's largest county jail system. Read about the elaborate schemes used to breach jailhouse security for major profit. U.S. Marines to Costa Rica: What's Behind the Story? Why is the Costa Rican government now inviting the U.S. Navy to patrol its local waters? Offically, the Americans will be deployed to help stem the flow or drugs northward. But, moves to bring the U.S. Navy to Costa Rica have sparked widespread suspicions that Washington is looking for a justification to remilitarize the Central American region.